Hey Hey My friend! First of all Happy New Year I hope you had a great time during the holidays spent with family, friends, and loved ones. Make 2012 your best I know I am. Now let’s get started. Today I decided to share with you a complete list of some very popular terms you will here in the SEO world and in the online marketing world in general. If there is one thing I have learned is that you first need to understand what something is or understand how a process works before you can properly learn it and put it into action. I hope you enjoy my SEO Glossary and if there’s a term not listed here just let me know and I will do my best to clarify it for you. If you are looking for a specific phrase press Control + “F” for PC or Command + “F” for Mac and type your request into search field. Not Found – This means you have a link on your site pointing to a page that is no longer there or an incorrect link. This term is traditionally use in the newspaper industry for the top section that is visible when the paper is folded in half. You reserve this section for the most important information and headlines you want your visitor to see. When you as a marketer get paid a commission for referring a buyer to a product creator. However the buyer MUST buy through your affiliate link which is provided to you by the product creator. This is a completely unique link that is provided to you by a product creator to ensure you get paid your commission for referring a buyer to their product. Every affiliate has a unique link. A text representation of an online image. People with vision impairment need the assistance of screen readers to know what is happening on the screen. Alt Attributes are written in by the web developer to describe what an image is about. Having the correct Alt attribute can also help in your search engine rankings. When creating a link you need to select a set of words to tie the link onto. <a href=”link”>Anchor Text </a> try to use your keywords as the anchor text as it has relevance to your SEO efforts. The process of other websites linking back to your website. This is probably the most important factor to ranking your website on the first page of Google. Learning how to build high quality backlinks is a skill that can make you a fortune. Popular backlinking strategies include Social Bookmarking, Forum Profiles, Article Marketing, Blog Commenting, Forum Signatures, Web 2.0 sites etc. This helps advertisers cater their ads to your recent interests on the internet. You may have recently searched for a snow mobile. Now you may notice that more banners ads are showing snow mobiles. Content Management System. These programs are out of the box package sites, popular for blogs and shopping carts. Some of the more popular CMS programs include WordPress, Joomla, and Magento. A conversion refers to an action that a marketer wishes a visitor make. Many times a conversion relates to the purchase of a product, but can also be having someone download a white paper or signup for a newsletter. CPC aka Cost Per Click. This is a method of styling elements of a webpage. If you need our headers to look a certain way, you adjust the CSS to set the header exactly as you would like it. So if HTML is the structure of a building, CSS would be the interior decorations. I am not referring to your typical cookie which is enjoyed with milk or hot chocolate in this sense of the term I am referring to a way for companies to be able to track what users do and sort of record your history. This is a popular way for your to be able to make sure you earn your affiliate commissions. Whenever you click on an affiliate link there is a ‘cookie’ implanted on your browser to make sure the marketer gets credit for that sale. Depending on how long the product creator set the cookie you can still get paid if the buyer returns 1,2 or 3 months later to purchase the product. Again this all depends on how long the product owner sets the cookies to last and assuming the buyer has not cleared their browser cookies. Content which is changed in intervals or over time. Many PHP websites are built for dynamic content. Web 1.0 was internet of the 90’s. Simply informational webpages but not a lot of interaction. Web 2.0 was able to happen because of dynamic content. The process of writing an article and publishing on multiple platforms without changing or modifying the content. A page whereby users can enter your webpage. Many people mistakenly believe the homepage is the only way, but any advertised page can be an entry page. Usually involved in PPC advertising. Make sure however whatever entry page you are advertising is relevant to the ad content. A link within your website that refers to another domain. The little micro picture that displays in your browsers URL bar next to the domain. File Transfer Protocol. A method of transferring files from your personal computer to your server. A popular free FTP protocol is Filezilla. A search engine spider used by Google. This little guy scans websites for relevancy and content changes to help index you into the search engine. Keywords are used to determine your sites relevancy to a particular search. Google has a tool where you can investigate the competition, use, and number of searches for any keywords. Refer to the “headlines” that explain what the rest of the content on your page is about. Ranging in order of importance from H1-H6. Reserve the use of the headings tags to relevant webpage data. HyperText Transfer Protocol. This is the main form of communication between a searchers browser and the server. Links originating away from your website leading to your website. These links count as a vote to the relevancy of your website and should be acquired for SEO and site popularity purposes. The process of taking your business and generating traffic and revenue through the World Wide Web. Client side scripting that allows for dynamic features to be added without having to reference the server. An old method that search engines used to determine the relevancy of page content. This has become less prominent due to Black Hat tactics like Keyword Stuffing. 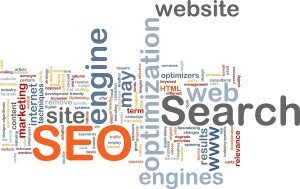 These keywords refer to a search query that is longer then 2 or 3 words. So for example is someone searches for “play golf” a long tail keyword version of that would be “how to play golf properly” Long tail keywords usually have less competition and are easier to rank for. Targeting Keywords used in the head section of a webpage. These aren’t as relevant as they used to be due to misuse. They may not be as relevant but still won’t hurt your SEO efforts. Meta tags refer to the grouping of the Title, Meta description, and Meta keyword tags. A command to spiders crawling your site to not attribute link authority to. Common in blog comments and pages under construction. This means the website being linked to will not get the link juice credit if the link has the no follow tag attached to it. The process of placing your target keyword in specific places on your website to help the search engines know what your article is about. The most popular places to put your keyword is in the Title, First sentence (bolded), as a link somewhere in the article, as the alt attribute for the image in your post, and in the last paragraph in italics. Search engine usually display two kinds of content, paid and unpaid. Unpaid content is commonly referred to as Organic Search Results. This is a link pointing from your website to an external website. A logarithmic method of calculating your site’s importance through elements like back links and number of links on a page. There are several other unadvertised elements. 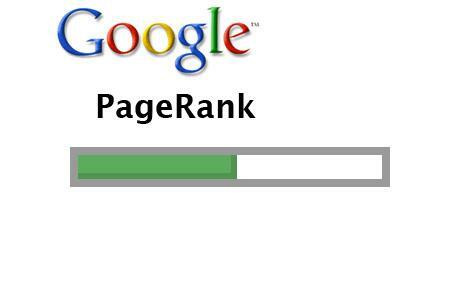 Pages are ranked from 0-10, 0 being the lowest and 10 being the highest rating your website can have. PHP Hypertext Preprocessor is an open source scripting language which gives sites like Facebook and Myspace the interactivity which made them popular. The actual words a searcher types into a search engine to obtain a specific result. A method of letting browsers know that a webpage has moved. Commonly referred to as 301 redirect for permanent moves and 302 redirect for a temporary move. Search Engine Results Page. When a Query is made within a search engine, this is the page whereby the results are displayed. This is one of the most important elements for SEO. This describes the entire contents of a document. Uniform Resource Locator. This is the unique indicator to your website documents. Content created in a way that compels users to share without provocation. Common methods of sharing are Email, twitter, text, and Social Media. Like an online phone book, the Whois directory keeps a record of website domains and their owners. White hat SEO refers to SEO practices that are accepted by search engines. These methods stand little chance of becoming ineffective in the future when search algorithms change. Internet information portal. Amongst the oldest search engines still in existence. A user content generated video social media website, and the second largest search engine next to Google as of March 2011. Non-commercial directory which mysteriously shut down after being purchased by Looksmart for 20 million. That is it for now my friend! I hope you found this article helpful and if there are terms that you have heard and I did not cover in this article feel free to leave me a comment below and I will try my best to clarify them. If you would like to add a term feel free to do it in the common section as well. Give this Bad Boy a Thumbs Up if it helped you in any way.. Thanks for the complete terms Joshua! Sure thing Sanjay! Happy 2012 my friend! Thanks for the great list. I am actually working on a list like this, but haven’t had all the time to collect and document all the terms for SEO. Really good list but you know I knew what each one meant…except for Zeal. Had no idea there was such a directory. BTW under “I” you forgot Internet Marketing. Ebooks, affiliate marketing, Social Websites, blogs, email to name a few. Thanks for this, Joshua. I already had a pdf list out in 2005 but it needed updating. Things move fast in the internet world. Your pop-ups are extremely annoying. Even trying to get this comment out..THAT is poor exchange. I couldn’t even minimize my browser without the damn thing popping up. Shame on you. i apologize for the inconvenience. Do you have a real small screen? all you gota do is click the ‘x’ to close it out. Thanks for the feedback though I will tweak the settings. I have a Macbook 13″. It isn’t that you have the pop-up. It is the fact that one cannot go outside the active page and it keeps coming. There has to be a control while the current user is still open to control this stuff. Even just replying to this comment I have a like request at the top of my screen. One of the things I have been learning is that in today’s market, we need to be sure to attract clients, not push them away. Here is an example of over done from another company I purchased from. I had subscribed over a year ago and received perhaps once every two weeks, an update newsletter. In November I purchased 4 educational DVD’s. Since that purchase, I have received at least 1 and up to 3 emails a day(even on Christmas Day) plus snail mail once a week. These are University Lectures on DVD and from 12 to 30 hrs per course. They are pushing to buy more. What kind of insanity is that at that frequency. I too have written them on their inconsiderate marketing tactics for people who are on board. Check out Copyblogger.com if you want to understand more about handling today’s marketing efficiencies. Same here Dan just got a 13″ mac a couple weeks back and wow i do not know why I waited so long. And i hear exactly what you’re saying and where you’re coming from. I received feedback from another person saying the same thing about the sharing pop up so I have deactivated it and eliminated it from my blog. Thank you for your honest feedback and for helping me improve ZamuraiBlogger. Really appreciate it. And yes I too am part of some peoples newsletters who over kill their list with product offers and sales and I learn a lot from them on what NOT to do. I also get some great headline ideas and other cool tricks so I like joining various lists. Thanks Joshua! I am also a member of Chris Farrell and I know you are doing the right thing. I use Add to Any WP plug in and it works really well and allows the reader to be selective on sharing. The drop down menu that appears to “give it a thumbs up” is also annoying and can’t find the ‘x’ to close it. Thank you for the feedback you are the second person today to say the same thing so BOOOOMMM it’s gone! 🙂 I figured it would make it easier for people to share the content but I will have to find another share plugin that does not pop up. Thanks again. Wow Joshua, that must have taken a while to put together. Can you imagine Googlebot? It’s running around your page going insane trying to figure out which are keywords. lol Seriously, that’s an original post idea, very cool. I was pretty much aware of all the A-Z terminology but a refresher certainly never hurt anyone. Definitely some very good information for anyone new to Internet Marketing. There’s a lot to learn in this business and not having to worry about all the new terminology will allow someone new the ability to focus on the things that will propel their business forward. Thanks again for all the valuable information you provide for your subscribers. Best of luck in this New Year! Really nice post, very helpful for the newbies out there. Funny thing is I just started writing an SEO glossary myself a week before you published this – strange. Talk to you soon! I’m glad I can help Anna 🙂 thanks for stopping by. And yes viral marketing when done correctly can bring in loads of traffic like wildfire! This is a very comprehensive list. haha thanks Craig! and yea man I can’t live without shortcuts. Makes my life a hell of a lot easier 🙂 Glad you found it useful man.